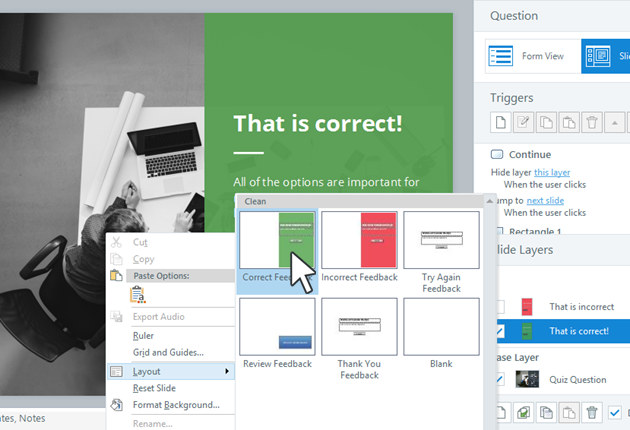 Articulate Storyline uses layers to display feedback for question slides. 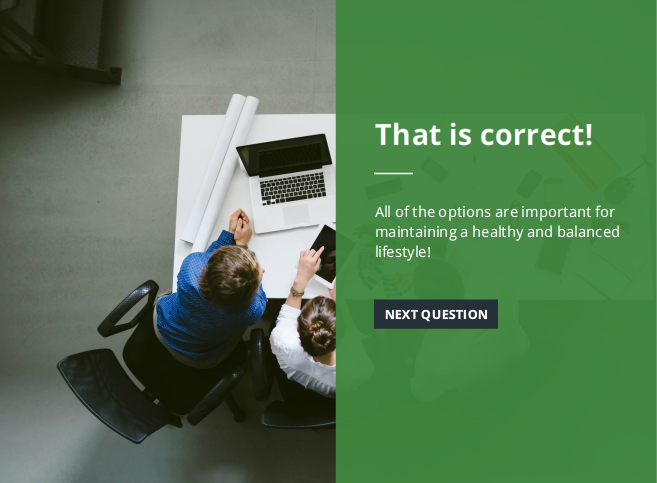 As learners submit their answers, feedback layers overlay the content of the question slide to describe how they performed. Design each feedback layer with text, images, audio, video, buttons, and any other resources you want to use—like you would design the base layer of a slide. 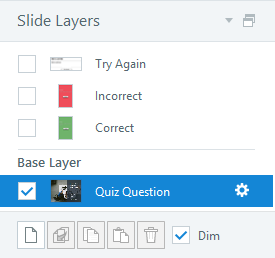 In fact, feedback layers work just like non-question slide layers. To learn more about working with layers, see this tutorial. To ensure that feedback layers throughout your course have a consistent design, edit the feedback master. Right-click the slide workspace, scroll to Layout, and choose a layout.